This palette came out very recently, about a month or so ago. The packaging is beautiful. I'm surprised they didn't bring it out at the beginning of spring with it being pink and purples and called In Bloom but whatever, it's a beautiful palette. 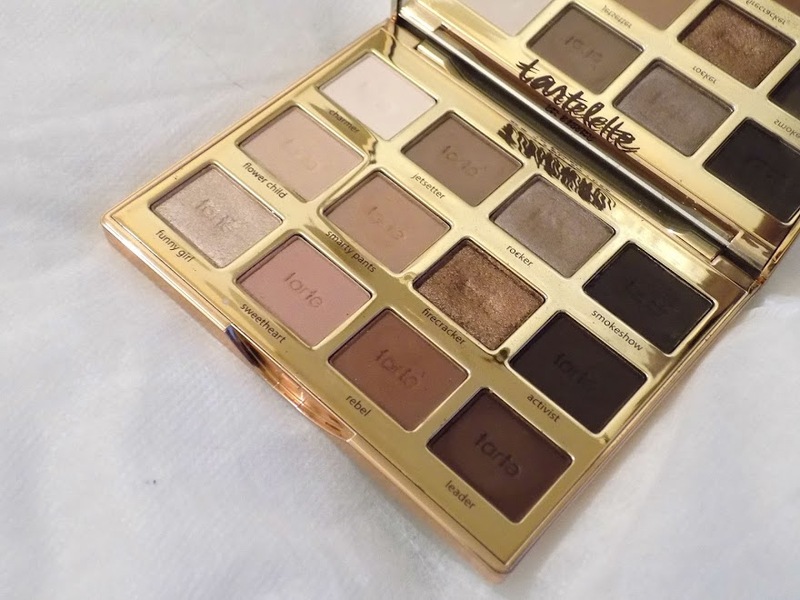 It's small enough that it's good for travelling and has a mix of mattes with three shimmery shades in there too which is what the previous palette was missing. 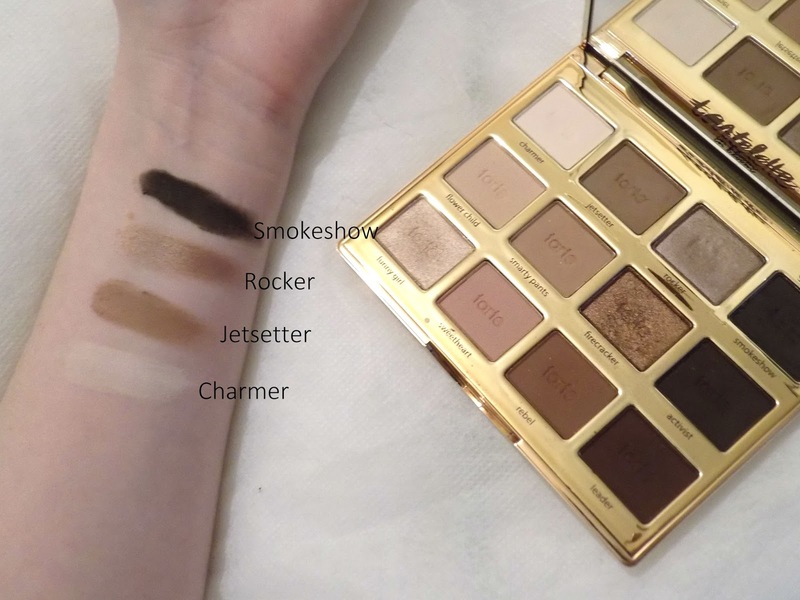 The top row is quite a cool taupe kind of tone, there's a matte bone highlight called Charmer, a taupe crease shade called Jetsetter, then for the first shimmery shade in the palette, Rocker is another taupe shade (very similar to Cafe Saint Germain from L'Oreal eyeshadow which is one of my favourite shadows ever). It's shimmery, creamy and looks great on the lid. 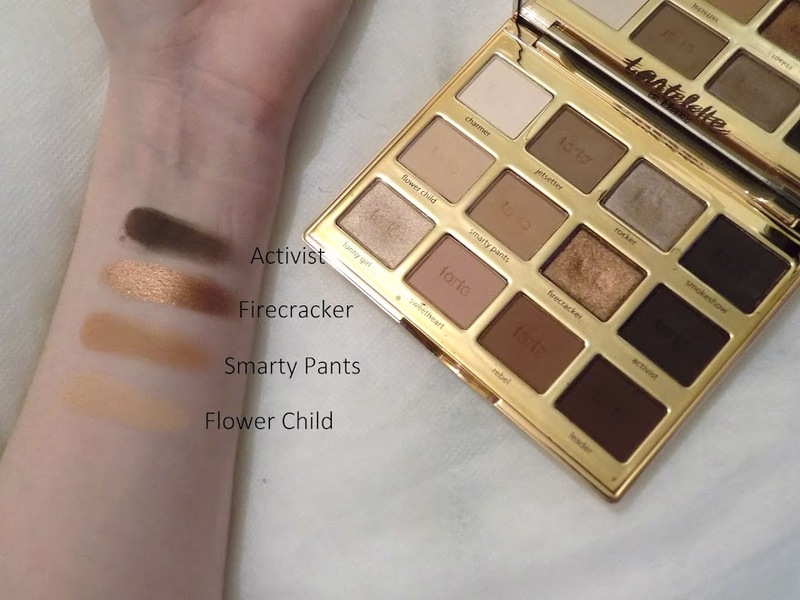 These shadows are very soft and creamy, not powdery or chalky, and there's no fall out which is great for me as I do my eye makeup once I've applied my foundation and concealer, so fall out is the worst thing to have with an eyeshadow palette. Anyway, then the last shade is Smokeshow which is a super dark charcoal grey which is great for eyeliner or smoking out your look. I love this line of shadows and I get a lot of use out of them. For the middle row we've got a warmer selection of shadows. There's Flowerchild which is a great all over the lid colour to brighten up your eye as it is a beige kind of shade with a little bit of peach (also great as a transition shade for us super pale skin gals). Then there's Smarty Pants which is a nice warm brown, great as a transition shade. Then for the second shimmery shadow, Firecracker, this is just such a beautiful bronze shade but it has a hint of copper to it as well. I like to use this in the outer corner but also along the lower lash line as it gives a little shimmer whilst still defining the lashes. It's a great shade, and just look at the shimmery metallic good-ness. Finally is Activist, this is another dark grey/brown kind of shade. I like to use this on the outer corner, but it would also be good for a smokey eye rather than using a regular black. The bottom row is more of a mauve/purple tone but they're still beautiful and I love this row too. Starting off with the third shimmery shadow, Funny Girl, this is a beautiful ivory shimmery shade, it doesn't have much pigment to it, it's almost like a shimmery topper which is great in a matte palette. I like to use this on the inner corner of my eye to really brighten it up. Next is Sweetheart which is a peachy pink kind of shade, another great transition shade but also a nice everyday lid colour too. Next is Rebel, in the pain it looks a lot more purple but when swatched it's more brown. This is a great outer corner shade and it's great under the lower lashes. Finally is Leader, this again looks more purple in the palette but it's more brown when applied. This is great for that outer corner as well but if you want a subtle liner, just use an angled brush and smudge into the lashes (top and/or) bottom and you have a simple, everyday look. 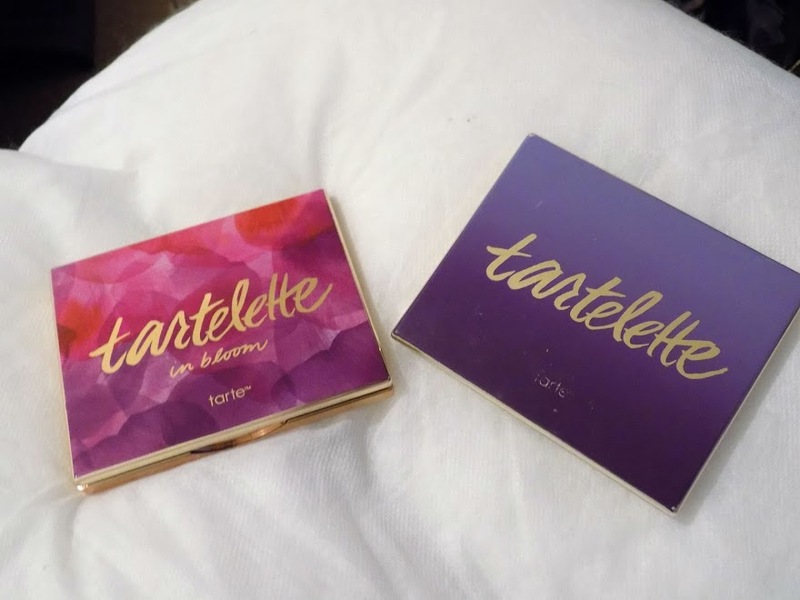 Now for the comparison, the original Tartelette Palette is in a beautiful purple sleek palette, with silver detailing, the In Bloom Palette has gold detailing and a pink and purple lid. 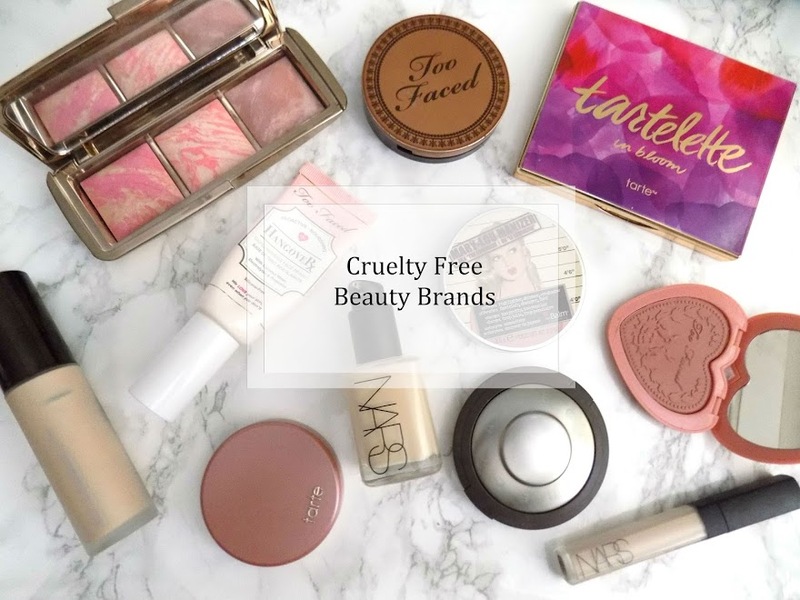 The packaging is great for travel, you have everything you need in one palette and you can create so many different looks. 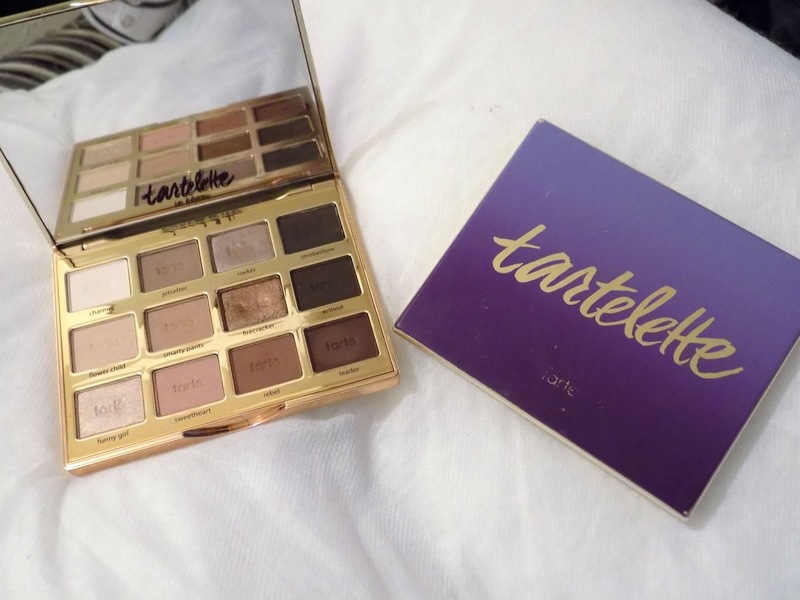 So the Tartelette palette is all matte shades, and as beautiful and creamy they were to apply, I like a bit of shimmer on the lid, so that was my only qualm with the palette. But the shade selection covers everything, warm, cool, taupe, smokey, everyday light neutral, it's so versatile and the formula is so easy to use, blendable and long lasting so there's no creasing by the end of the day. 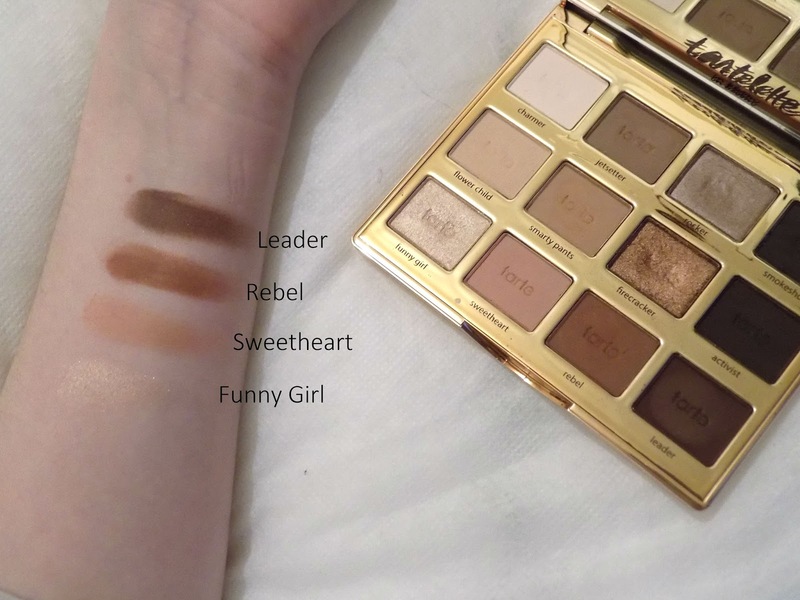 I love this palette and it's in my top 5 palettes. But when the In Bloom came out, I didn't think it would be as good but I love the shimmery shades mixed in there, and the range of matte shades are great. The shimmery shadows are so pigmented, creamy, easy to apply and blend and they will last all day. There's no repeats and the way the palettes are set out to make it easy for people to use and create looks. 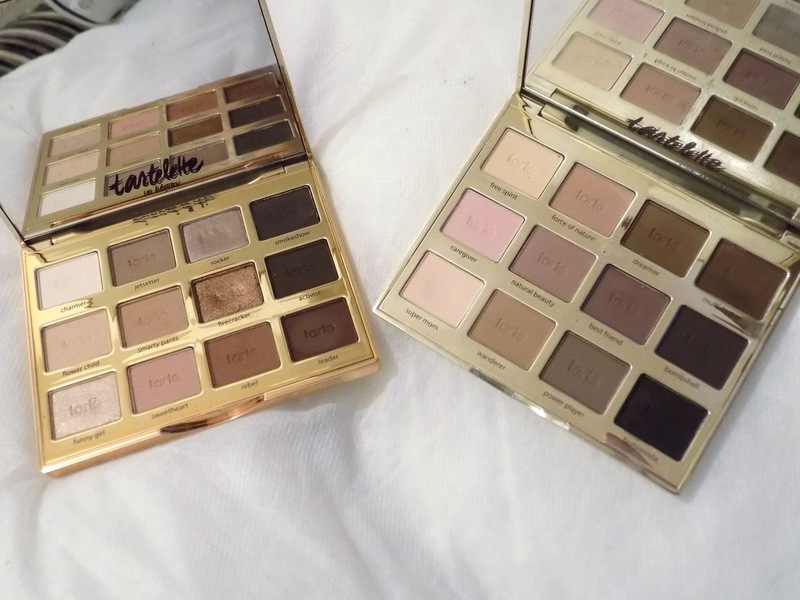 I love that they have kept the packaging and the layouts the same in the new palette and I think that the shade selection is just perfect and I can't think of any shade that is missing for a neutral palette. Packaging: 10/10 It's sturdy packaging, looks nice, it's sleek so makes it great for travelling and there;s a nice big mirror. The way the shadows are set out makes it super easy and convenient to create an eye look and you don't really have to think and concentrate on it too much as you can just use one row for a look or mix and match across all 3 rows. Formula/Pigmentation: 10/10 I can't fault the formula or pigmentation, they're creamy, blend effortlessly and seamlessly, they are pigmented with no fall out and they are such beautiful and vibrant colours, both the mattes and the shimmers. Shades: 10/10 The shades in the palette are great. They're versatile, there's something for everyone, cool, warm, light, dark, shimmery, matte, they really are great shadows - just in case you didn't pick that up. Price: 8/10 I purchased mine for about £40. 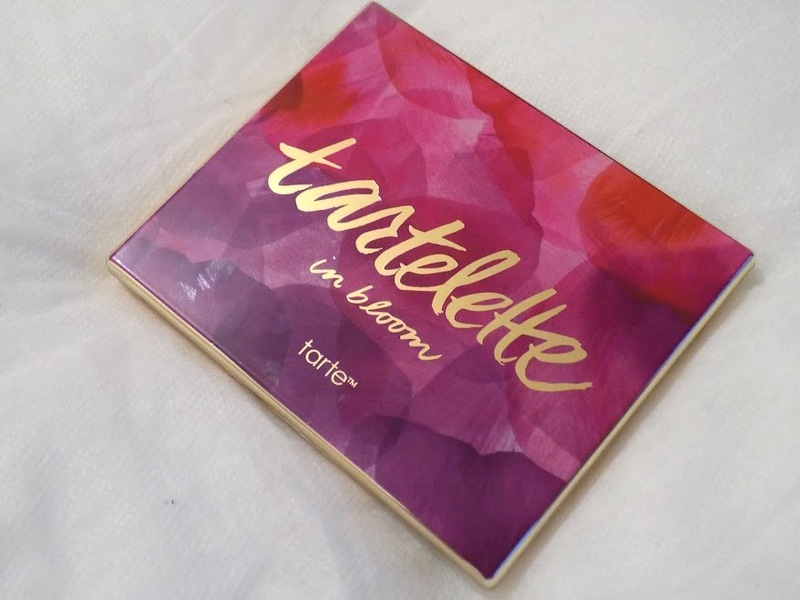 It's more expensive than the actual value but unfortunately Tarte isn't easily accessible here in the UK. But anyway, the actual price of the palette which I believe is around $49 in America so that works out about £35 in the UK which is pretty good considering the quality and formula of these. 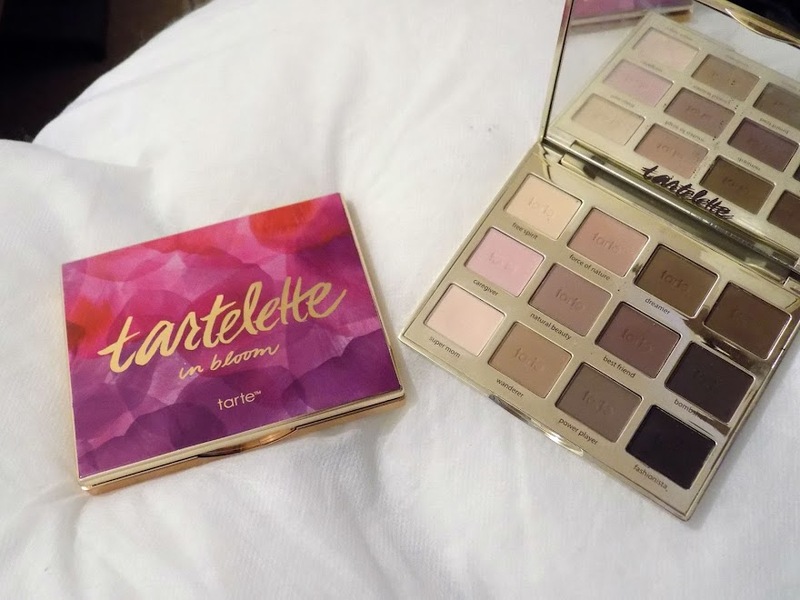 Availability: 8/10 Tarte isn't as easy as other brands to get hold of in the UK, QVCUK sell Tarte but unfortunately not this palette. So I purchased mine on EBay here and the delivery time was fantastic, I got it within a week which would be similar if you order from the States and probably would be even longer. Either way, that's why it only got a 8 here. Overall: 9/10 If it wasn't for that availability this would be a 10/10. I have the original but this one looks more versatile with the shimmering shades. Firecracker looks amazing! It's definitely worth it. They're all beautiful shades, Leader is a beautiful dark plum/burgundy kind of shade which I am loving right now, great for outer corners and lower lash line. Ahh I love this palette.